Weight 1 1/2 oz. 1 oz. 1/2 oz. 1/4 oz. 1/8 oz. 3/4 oz. Water Gremlin's oblong shaped Egg Sinkers slip easily through weeds and rocks without getting constantly hung up. 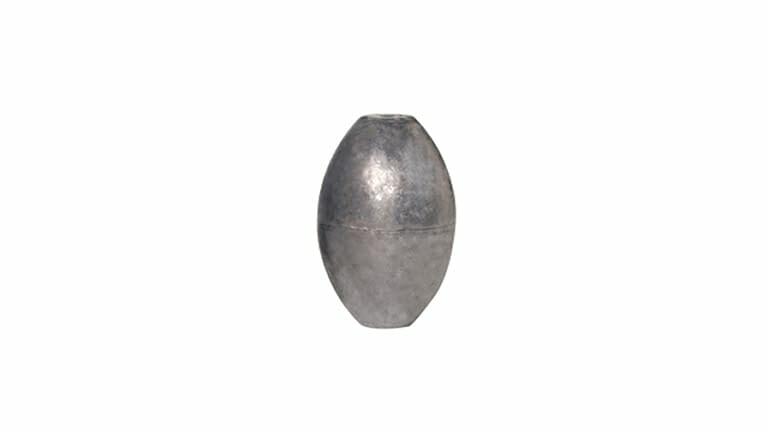 The large, smooth hole in the center allows for uninterrupted movement of the line without the fish being able to detect the weight of the sinker.